There is an unspoken code among Darjeeling drinkers in our shop. It’s that little nod of recognition between savants. Not quite as exacting as a Masonic handshake, but somewhat more involved than, say, the affection between Volkswagen drivers. Somewhere along those lines. They have no time for the follies of fruity, flowery, sugary tea or coarse blends drenched in milk. A good Darjeeling is the tea world’s equivalent of old fashioned tailoring: a classic, a sign of taste. Darjeeling tea is grown in a hundred or so tea gardens on the southern edge of the Himalayas, within sight of Mount Everest. The height, the soil and weather conspire to create some of the best conditions for growing tea anywhere in the world, and the end result is coveted by tea lovers everywhere. Some teas from this region fetch astronomical prices. These are often the first harvest – or “flush” – of the year, producing mild and subtle flavours, while the later harvest, the second flush, yields stronger, fuller cups. The taste of Darjeeling is milder than, say, an English Breakfast blend and given to a wealth of nuances. 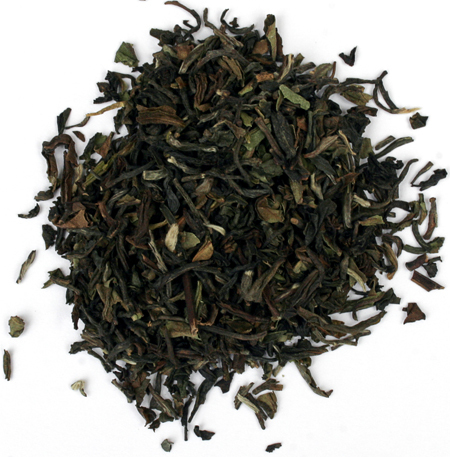 Our regular Darjeeling is a blend of first-flush leaves, offering a rich and aromatic flavour. It is best to have it without milk or with just a splash. Once you’re a Darjeeling lover, you may end up seeking out other connoisseurs who share your appreciation. Or perhaps they’ll find you.